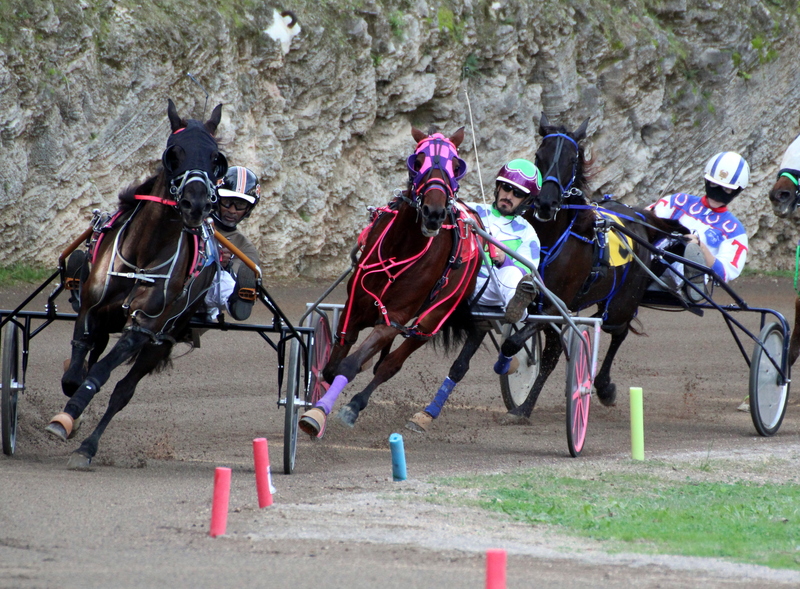 Harness Pony Racing returned to the track at the National Equestrian Center on Vesey Street. Heat Two was the 1:04 – 1:05&1 Time Bar Class that saw Cameron Harris in the bike of ThisBabyRocks clocked a winning time of 1:04&4, Candyce Martins in the bike of Inwood’s Progress finished second with a time of 1:05 flat and Special Gold and Philip Correia finished third clocking 1:05&4. Heat Three saw Dylan DeSilva in the bike of Double Time win the 1:04 – 1:05&1 Time Bar Class race with a time of 1:04&3, Inwood’s Realist was second in 1:05&1. Heat 6 saw DeSilva and Double Time put a leg out when they were clocked at 1:03&1 in the 1:04 – 1:05&1 Time Bar Class, while Truran and Inwood’s Realist was second in 1:04&4. Correia and Special Gold would win Heat 5 in the 1:04 – 1:05&1 Time Bar Class when they were clocked at 1:04&3, Martins in the bike of Inwood’s Progress was second in 1:04&4 and Harris in the bike of ThisBabyRocks was third in 1:05&1. Heat 4 saw Clarke and Cherokee’s Ironman clock a winning time of 1:03 during the 1:03&4 & Faster Time Bar Class, Carreiro and Gold-N-Glory was second in 1:03&4 and Truran in the bike of Itsallaboutme was third in 1:05&1.